The Ypsilanti, Willow Run Airport, Michican based Connie Kalitta Services Inc., nowadays known as Kalitta Air, was founded in 1967 by Conrad "Connie" Kalitta. 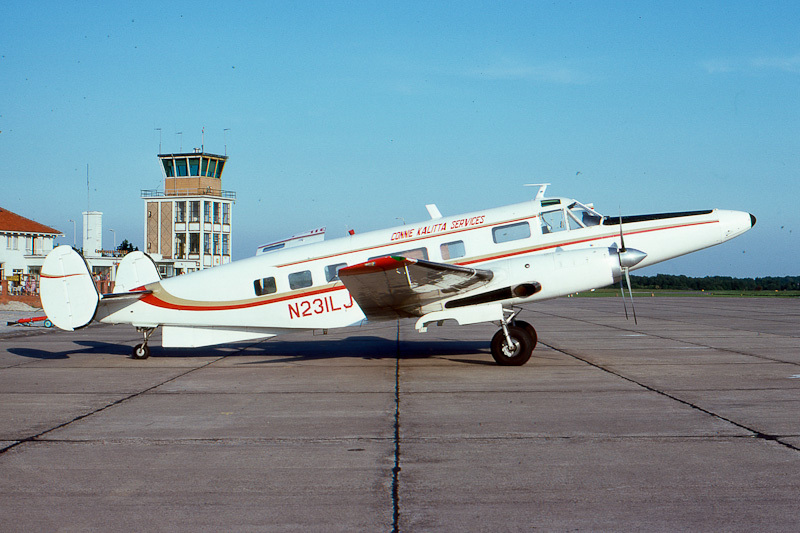 Operations started with a single Cessna 310 carrying automotive parts. Connie Kalitta Services Inc. operated in the seventies a number of turbo conversions of the Beech C-45 as cargo aircraft. Their Hamilton Westwind IV N231LJ was used on a transatlantic freight charter and arrived at Eelde airfield near Groningen in the Netherlands on 9 June 1976. This Westwind IV N231LJ was built in 1945 for the US Navy as a Beech SNB-2C Navigator under BuNo 23835. In service with the Navy it was upgraded to the SNB-5/TC-45J standard. After being retired from the Navy it was modified by Hamilton Aircraft Co. under supplemental type certificate (STC) SA2958WE which includes turbo-engines; cargo floor; extended nose; etc. In October 2001, Beech TC-45J Hamilton Westwind IV N231LJ was offered for sale in damaged condition and in process of being rebuilt.